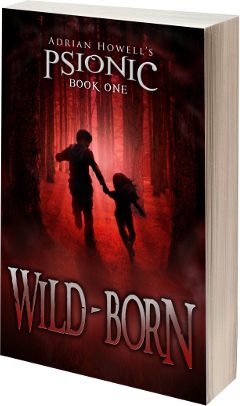 Welcome to Adrian Howell’s author website! Here you will find information about the Psionic Pentalogy: a series of young-adult urban fantasy novels that follow the life and adventures of a telekinetic teenager and telepathic child through a dark world of secret paranormal societies and deadly religious cults. Navigate the menu to learn about the books, a game that features the Psionic Pentalogy world, a few pieces of trivia, and links to major online distributors and various book promotion and blog sites. 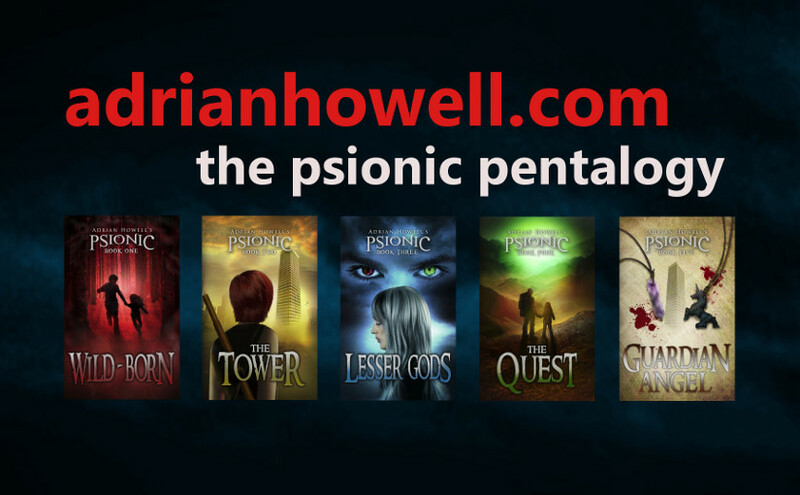 This site is owned and maintained by Adrian Howell, author of the Psionic Pentalogy books. All text and images contained within this site, excepting those specific to Lester Smith’s D6xD6 Role Playing Game, are the intellectual property of the site owner. 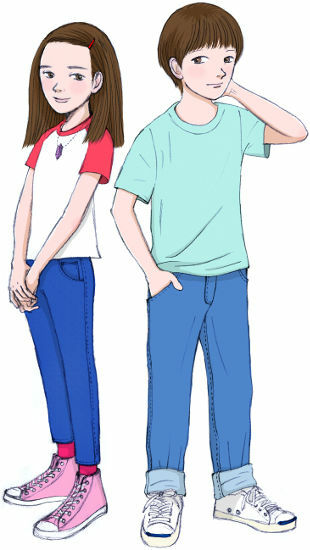 The D6xD6 Role Playing Game and related images are owned by Lester Smith and Popcorn Press (http://www.popcornpress.com/). Psionic Pentalogy book cover designs by Pintado (http://pintado.weebly.com/). Character illustrations by Ayako Yamaguchi (http://www.yamaguchiayako.com/). “Cloud Whale” design by Shogo Hayashi. WordPress theme Twenty Fifteen.